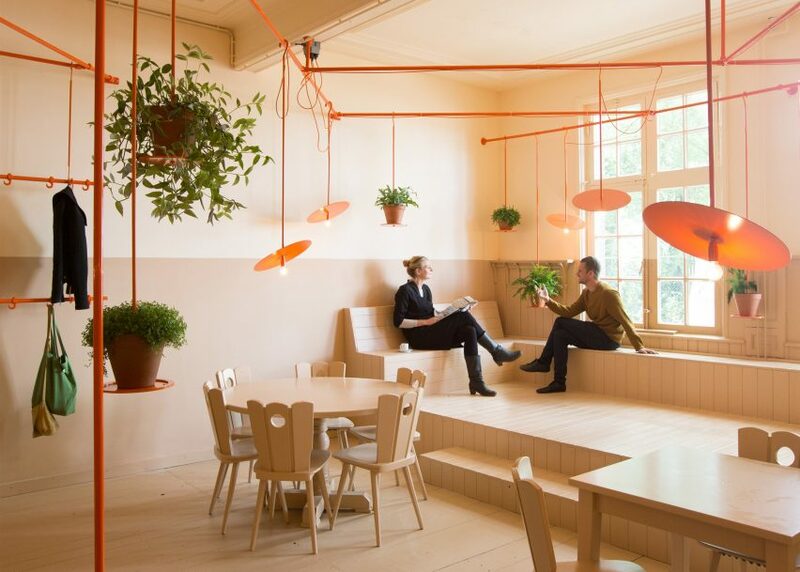 Dutch design studio Overtreders W has used a bold colour palette and an elaborate pipe network to give a concert-hall cafe a cheap but cheerful makeover. 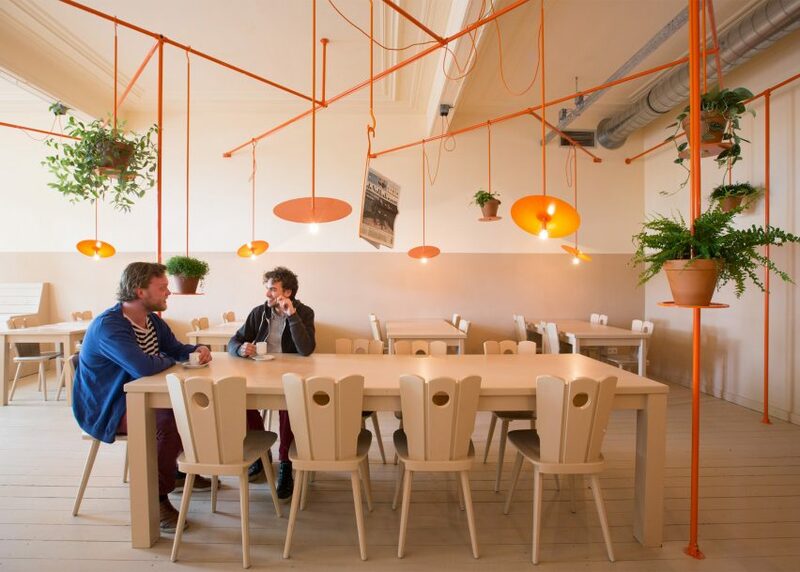 Located in Den Bosch, in the south of the Netherlands, the Hangop bar serves as the principal cafe for the Willem II Fabriek – an artist-run cultural centre and concert hall. The cafe comprises two main spaces. The first centres around a service counter, while the second is a more straightforward dining area. The two spaces are united by a bright orange metal structure made from metal piping, which intertwines above customers heads in an angular grid. Overtreders W have also used the structure to give both spaces a distinct identity. While the service area incorporates shelving units and a large sign, the dining area includes coat hooks and hanging newspapers. 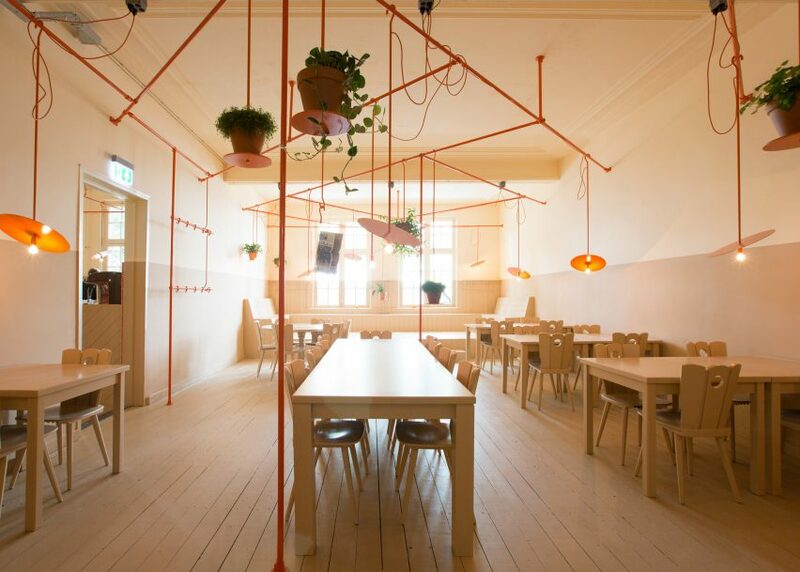 "The name of the bar, Hangop, is a word play with the Dutch word for strained yoghurt, a traditional Dutch dessert, and the fact that everything hangs from the scaffolding construction," said the design team. 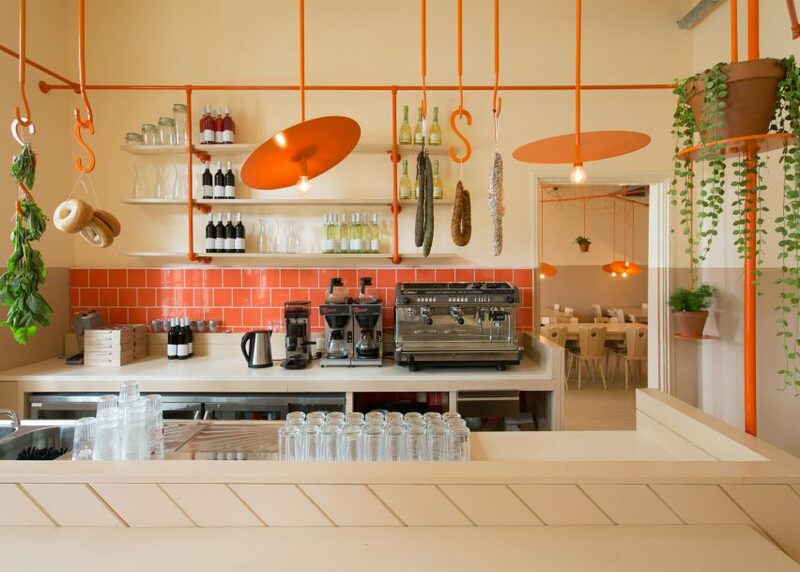 "The bar will mainly serve food that is usually stored hung up, such as bagels, cured sausages, scamorza affumicata and dried herbs," they added. 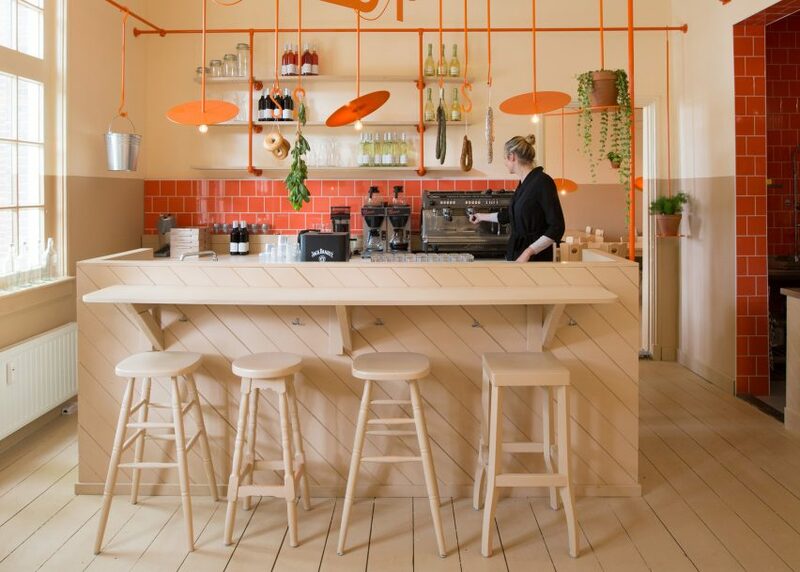 Matching the pipework, the designers added more flashes of orange to unite the rooms and create a sense of vibrancy. The colour covers the signage, lighting and the tiles that line the back of the service counter. The majority of other elements are created from plain wood, including the flooring, the chairs and tables, and the counter itself. The space was completed on a limited budget for the Willem II Fabriek, as part of its renovation. It is located in the same city where UNStudio is set to build a new theatre. Photography is by Overtreders W co-founder Reinder Bakker.